Well, after two months of powers and ‘manipulative’ influences, this is calming and balancing new week. Mercury has stopped his retrograde course on December 6th but only since yesterday things are starting to become clearer. So there you are. Not such an interesting and exciting week, but definitely a reason to celebrate after all this chaos we’ve been through right? 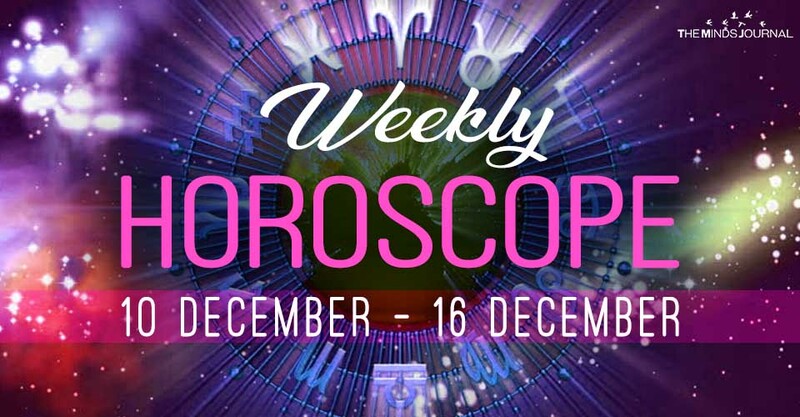 The new Week finds us relieved from all the delays, the misunderstandings and the troubles brought to us by the backwards movement of Mercury. Thankfully, from this week on, we can catch up and see what was going on the past weeks. Moreover, for only few day left, you might have the chance to empower your love life and deal with your deepest thoughts that have already been brought to the surface. He came and then he left and now he’s coming back! Mercury will soon return to Sagittarius giving you all the strength you need to ignite your passion and your ambitions. So from this week on, we all can prepare for our future steps towards success! Now that Mercury is direct again, you already feel the change in your heart. What you thought was real, now you know is not. Therefore, as feeling seem to be clarified you learn how empower yourself with knowledge and confidence. Moreover, from Wednesday on, you’ll get back on your feet, aiming high, putting new goals and trying to make them come true! Your Tarot Card of the Day can reveal so much more. Check it here for free. Thankfully the lord of communication and education is direct again and now there is time to make things right in your relationships. You might have hurt or be hurt, but now this has got to stop. Mercury will help you clean the mess in your relationships which suffered over the past weeks. Moreover, from the middle of this week you will have the chance to deal with real and strong emotions whilst you also prepare for a great new beginning in your professional life. Excited? Your Tarot Cardof the Day can reveal so much more. Check it here for free. Well, this is a cause for celebration. From this week, now that Mercury is direct and speeded up, if feels that you ‘unpaused’ your life. Your everyday life had became such a mess the past weeks, probably due to health issues of even career problems and misunderstanding. Thankfully, now you have the chance to make things right and move on with your life. Moreover, from Wednesday your relationships receive a magical boost and your become more diplomatic and cooperative. Your Tarot Card of the Day can reveal so much more. Check it here for free.